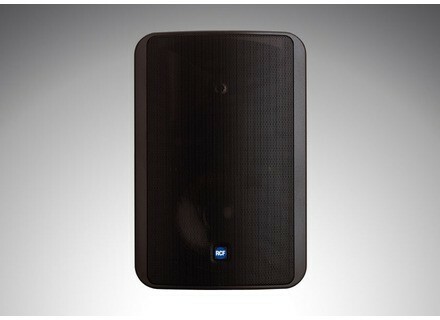 MR8, Full-Range PA Speaker Cabinet from RCF. I have seen the RCF Monitor 8 used in so many different situations, so I was questioning if it would work for me at home. Well lets just say this speaker is extremely loud, there is no way that I can do my mixes on it at loud volumes at home because it is just too loud. The other people in this apartment would go nuts if I played this thing higher than halfway up. This speaker is made for moving the dance floor and when I DJ some local parties and events for friends and family this is all that I need. It sounds amazing when used with dance music and club music. Even sounds great with some drum and bass and even dub step. I have seen this speaker in local bars and night clubs and know several DJ’s that use this speaker. No negative things to say about it. This speaker is made to play loud with. Do not purchase this if you are looking for a speaker to have at home and mix and practice with. There is just no way , you wont get the best out of the speaker keeping it at less than halfway turned up. It is made to play at high volumes for a room full of people. The sound that comes out of the RCF Monitor 8 is very clean and the bass is amazing. I love a lot of bass in the music that I play at parties and events and this will do the trick. I have even heard several people say it could be used as a great PA speaker, I have not tried it in that aspect yet though. This is a great speaker, it was the only speaker that I needed to do parties with. I was very happy with it when I was using it about a few years ago. I purchased it used, for a great price.